Bye, bye Jenga. Hello, margin. I haven’t blogged in a while. Partly because of the holidays. Partly because of holiday recovery. But mostly because of margin. I’ve always been proud of leading a well-balanced life. Society has applauded my efforts with best sellers on the topic of having it all. As a women, it’s what we start to believe is expected — loving wife, patient mom, driven professional, best friend, nutrition expert, educator, community volunteer, world changer. And we might even be able to pull it off. But at what cost? To me the cost was margin. Meaning, I had none. Things were so well balanced that there was no margin for error. No margin for the unexpected. No margin for forgiveness, especially for myself. 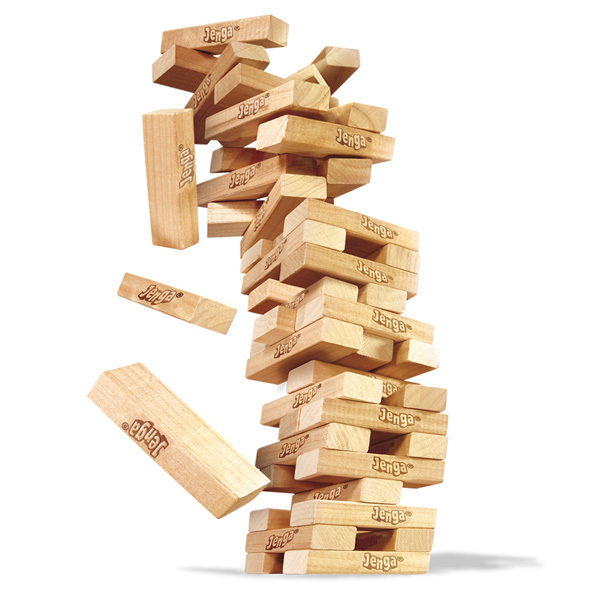 My life had become a game of Jenga™, in constant fear of it all crashing down because there was simply no wiggle room. No margin. Well, no more. I’m declaring this the year of margin. I’m going to engage professionally with projects I’m most passionate about. But I’m also going to allow myself to enjoy my kids more and appreciate their special kind of chaos. I’m going to plan more nights out with my husband and more double dates with friends. I’m going to embrace solitude and actually work out (a little). I’m going to let others help me more and (try to) stop feeling responsible for the actions of others. I’m going to appreciate the flexibility of life and be mindful to keep the margin a margin. Because, let’s be honest, it can turn into Jenga™ again real quick. So here’s to the year of margin. Hold me to it, ok.